Kick off the school year the right way with a celebration of reading in your classroom! 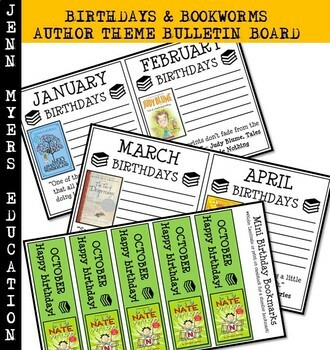 This bulletin board is designed to help build classroom community through a love of books and connection to excellent middle-grade authors. 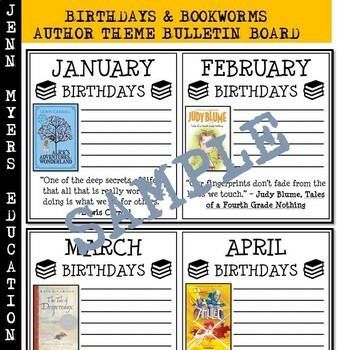 Do you know which authors share your birthday month? 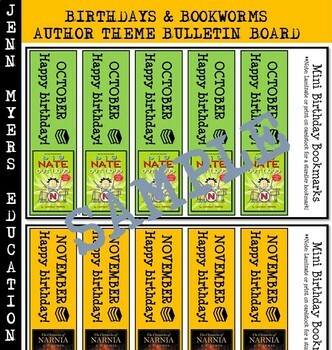 - Banner size letters spelling "Birthdays & Bookworms"